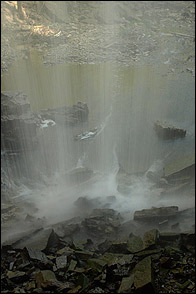 Baby Webster’s Falls is a complex ribbon waterfall which has water during seasonal storms and after the winter snow melt. 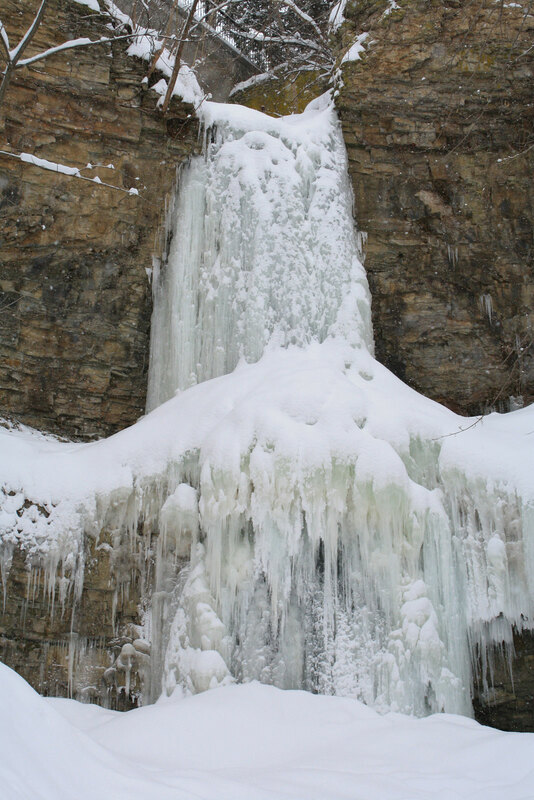 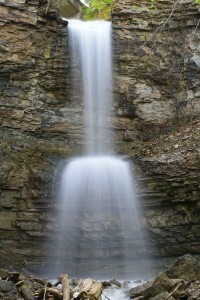 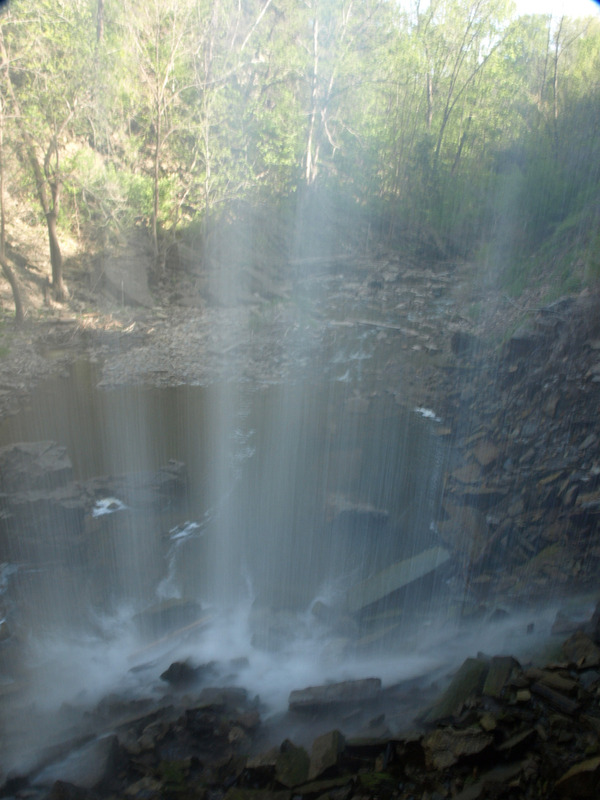 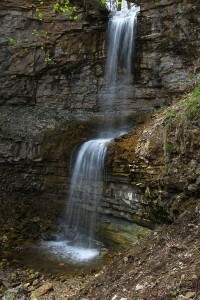 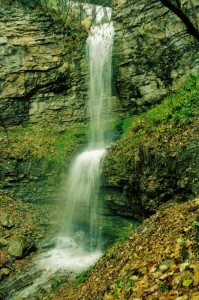 Its height is 9 metres (30 ft.) and its width is 3 metres (10 ft.) It is located on a tributary of the Spencer Creek, on a separate ravine near Webster’s Falls and can be seen from both the top and bottom. 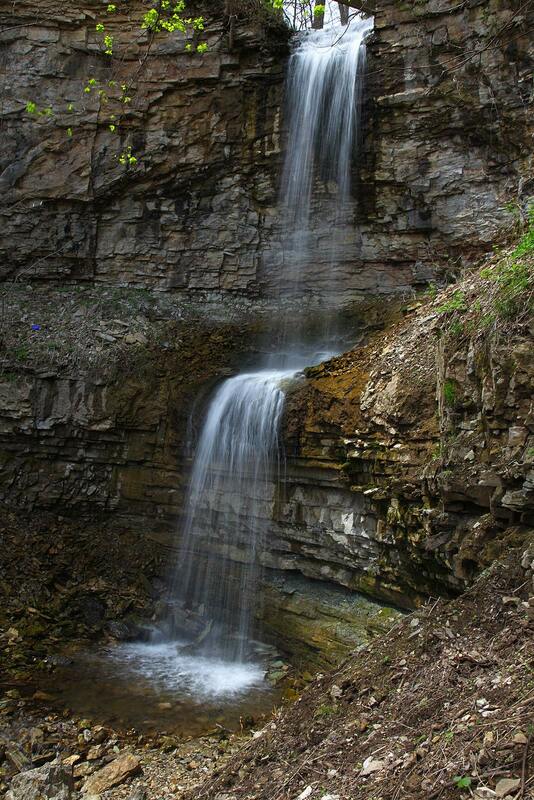 Many people never see Baby Webster’s Falls for three reasons: one that often it is sometimes a trickle, two is that everyone wants to see Webster’s Falls and overlook Baby Webster’s Falls and three is that many people are not aware of it!